The writer, editor, and publisher co-created iconic characters such as Black Panther, Spider-Man, the X-Men, the Mighty Thor, Iron Man, the Fantastic Four, the Incredible Hulk, Daredevil and Ant-Man. According to reports, he was rushed to the hospital from his home in LA but the cause of death has not been released yet. During his long career, he has given us so much to cherish and fantasize about. Known for making cameos in almost all Marvel movies, he is the reason why we love superheroes so much. Reactions are pouring in, from the world over, to mourn the death of their beloved real-life superhero. Rest easy, Stan Lee. I’ve said this before of others, but this is especially true for me today: it is the people that give you the permission to be weird who you miss the most. I cannot imagine my own imagination without his creative influence. comic books were my gateway as both a reader and writer. Stan Lee created worlds for me as a young Black kid growing up in the Bronx, to feel both seen and valued, with characters rich in nuance and layers. Stan Lee did as much for the literary world as anyone living or dead. This man led a generation of nerds into a new light where being a nerd was cool. He helped show so many people that it is ok to be yourself, and to never be ashamed of what you enjoy. He was a hero to many, and the hero’s he created will serve as his legacy. 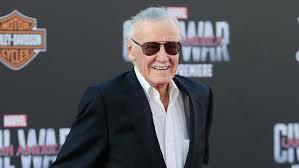 RIP Stan Lee.